The Garden Wall Quilt Layout was designed by Judy Niemeyer and Brad Niemeyer in the Fall of 2013. 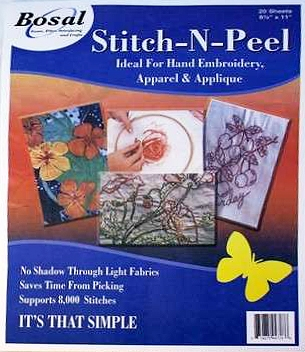 It was updated in 2017 to include reformatting instructions and also laser cut fusible applique stabilizer pieces in the pattern. 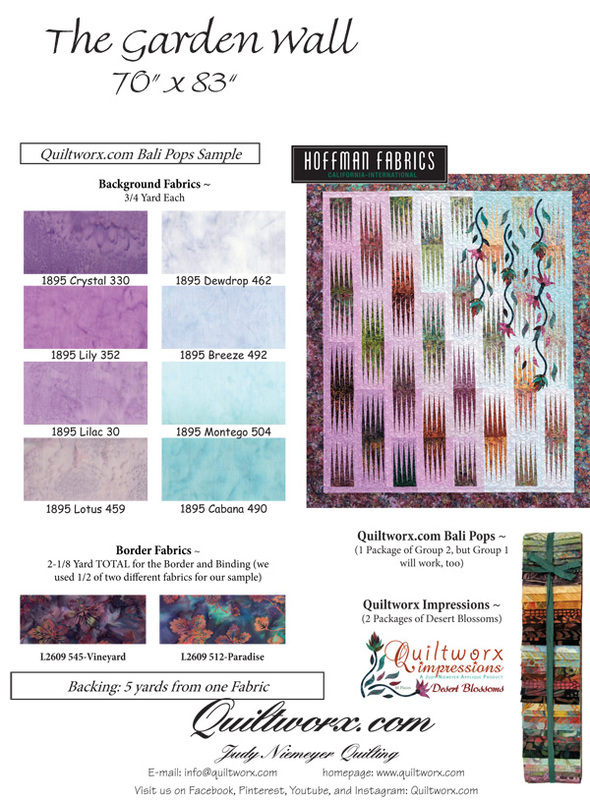 These originally were purchased separately and included fabric with an iron on fusible backing. 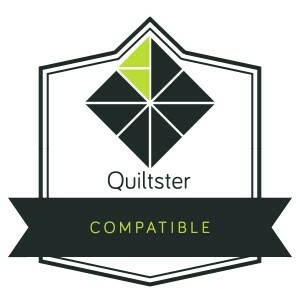 The product now includes a sticky water-soluble stabilizer material that allows you to select your own fabric and utilize either turn under applique techniques or a satin/embroidery stitch to finish the applique. The foundation papers used to create the Garden Wall are based on one of our most popular design elements, the Stepping Stones block. We created this layout to use Quiltworx 2-1/2” Strip Sets. 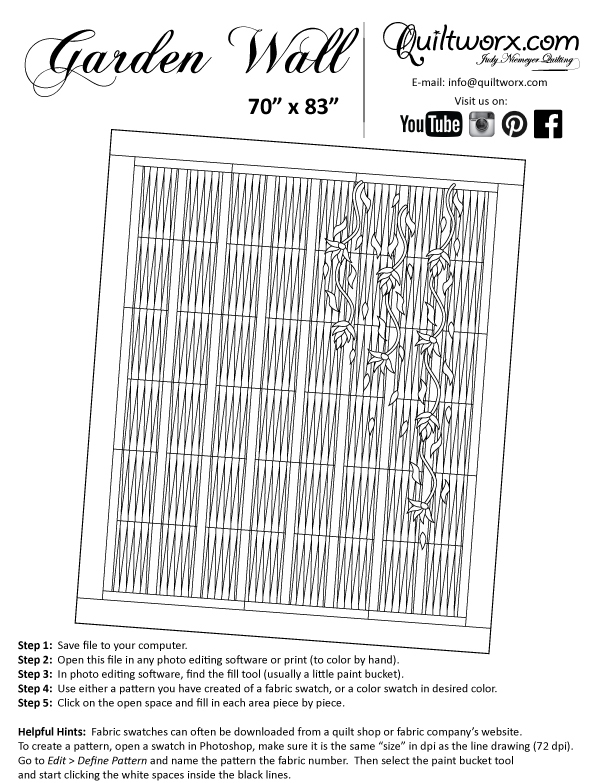 The instructions in this pattern are based on a technique for foundation paper piecing using 2-1/2” precut strips. Traditional piecing skills are required to join the units after the foundation piecing is completed, and turn-under appliqué or satin stitch/embroidery skills are necessary to complete the Garden Wall. 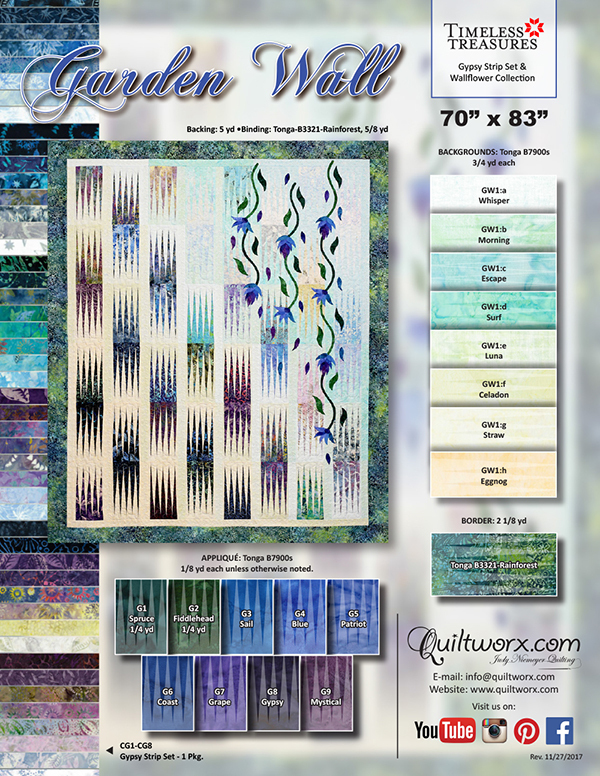 Garden Wall, designed by Quiltworx.com, made by Donna Johnson. Won First Place and a Donated Award by the local quilt guild at the San Diego County Fair! Sandy Dionne I did one similar to this. So much fun. 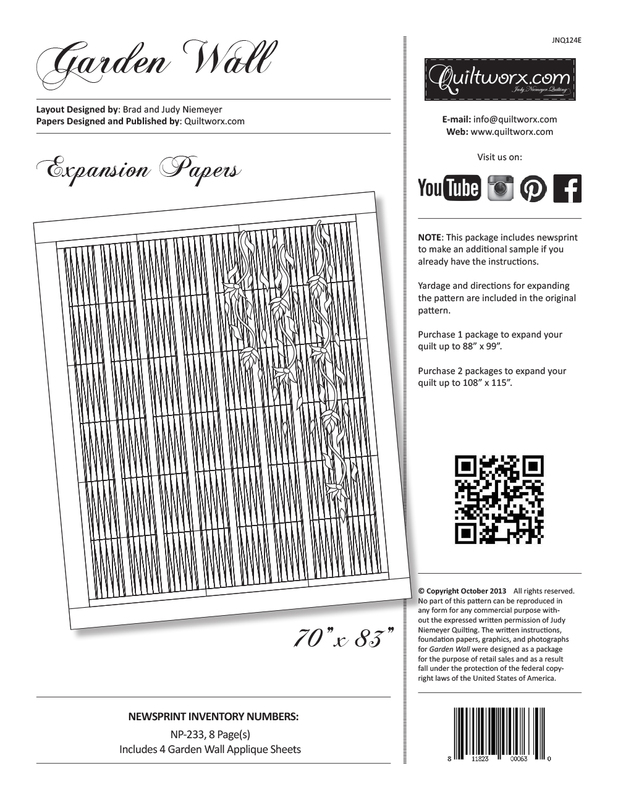 Carole Caple This looks like beautiful aged corrugated panels, stunning! Karen Brennan I love this. Who would have thought that adding the tree would add so much. Thanks for sharing this quilt. Susan Miller Awesome! This is stunning! Dixie Jarmon Peterson Absolutely beautiful! Shannon McGilvery I love this take on it. Margaret McClintock Slutz Beautiful. Great idea. Nancy Solsberg Jeanne Payton Brown did you see this one? Judith Kauffman LOVE. 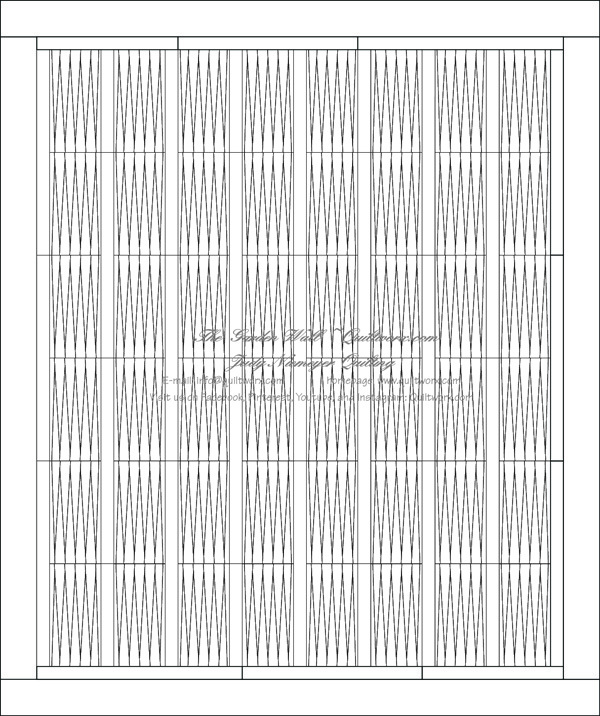 Have this pattern. Yours is absolutely gorgeous!! Pat Allen Looks like one of those indoor wall waterfalls. Beautiful! Brenda Barnett Retzlaff Love the addition of the flowers. Beautiful. Linda Sass That is really different. I like it. 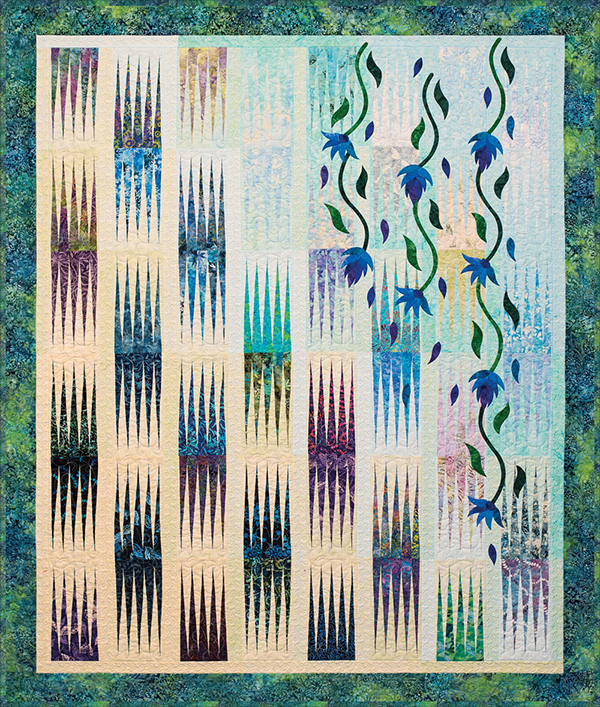 Shelley Jungen I love this quilt!! Kathleen Roth Beautiful! So many small pieces! 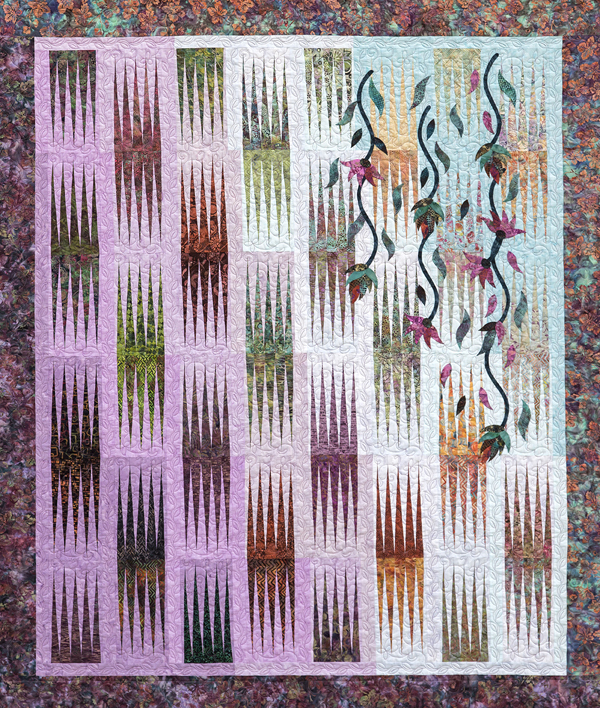 Garden Wall, Quiltworx.com, Made by CI Josephine Keasler. Jane Beckner Andresano Beautiful. I think I need to add this to my list! Lisa Stockton Potts I love this one. Susan Lanham Lee Its on my list! 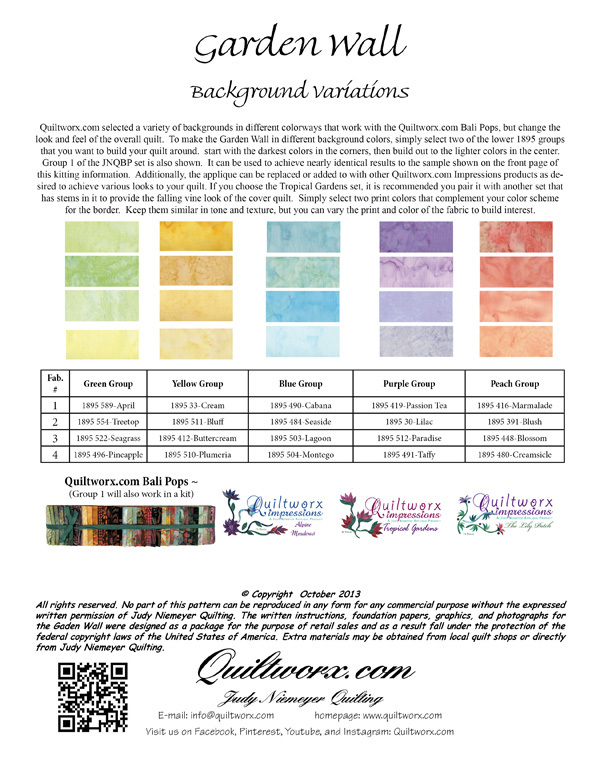 Garden Wall, Quiltworx.com, Made by CI Kathi Carter. Nicole Thomson I like this idea. Gives me an idea of what to do with my 3D flowers. Deb McGuire Wow, great job! Alanna Ilaender Morneau love this!